Portugal were defeated 2-1 by Uruguay on Saturday, with Edinson Cavani netting two fantastic goals either side of Pepe’s equaliser at the Fisht Olympic Stadium. And on Sunday, Fernando Santos’ disappointed squad were pictured heading home from Zhukovsky Airport in the Russian capital of Moscow. 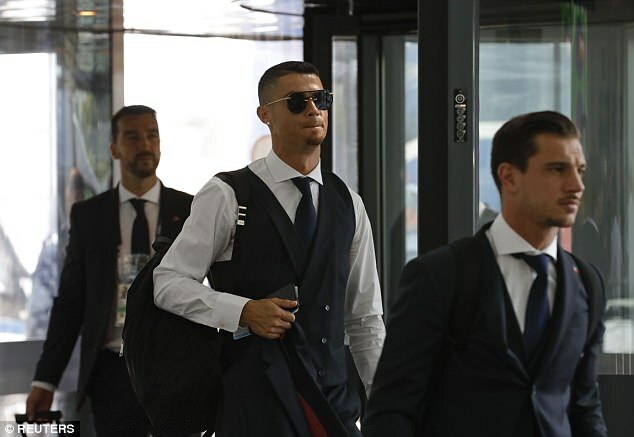 Real Madrid star Ronaldo, who donned sunglasses inside, was seen making his way into the airport with his hand-luggage after their bus journey. Ronaldo endured a frustrating evening in Sochi on Saturday, with Uruguay brilliantly executing their defensive game-plan and limiting the amount of time the five-time Ballon d’Or winner got on the ball. 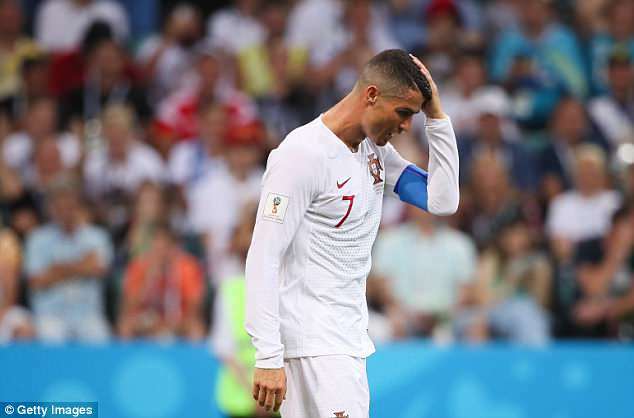 Ronaldo – still waiting for his first goal or first assist in a World Cup knockout game – was kept very quiet and was outshone by Paris Saint-Germain and Uruguay striker Cavani. And following the heart-breaking defeat, Ronaldo gave no hint that he is about to retire from international football. The forward will turn 37 when the next World Cup arrives, in Qatar in 2022 but refused to consider his future as he left the stadium. He said: ‘It’s not the right time to talk about my future, or about the coach or any of the players.